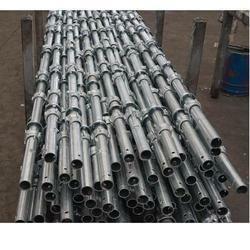 Leading Manufacturer of vertical scaffolding cuplock and ms vertical cuplock from Chandigarh. 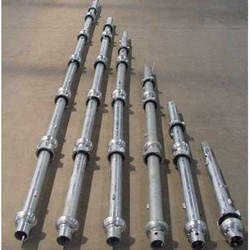 We are a trustworthy manufacturer of Vertical Scaffolding Cuplock. Our team procure durable and standard iron and steel alloys to manufacture this range of products. In addition to this, we fabricate these products in various sizes, weights and dimensions. This assists us to maximize the satisfaction level of our highly respected customers. Owing to easy movable feature, these products are easy to use in the field. We manufacturers MS Vertical Cuplock which are used to support the system for construction of flats & are also used to transfer raw material needed to construct flats. It saves time.